图库插图: Set of electronic devices. 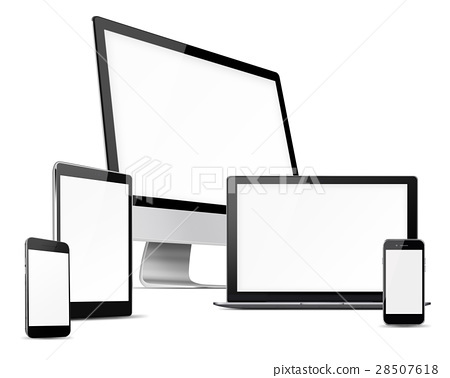 Computer monitor, mobile phone, laptop and tablet pc with blank screen isolated on white background. 3D illustration.